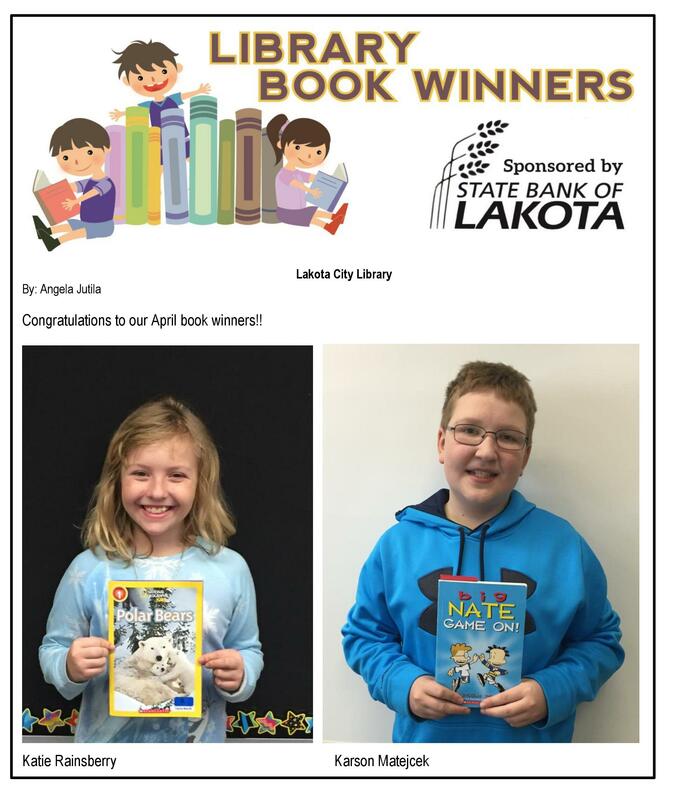 Congratulations to Karson and Katie for being chosen as our April Book Winners!!! Thank you to the State Bank of Lakota for sponsoring this great program! !